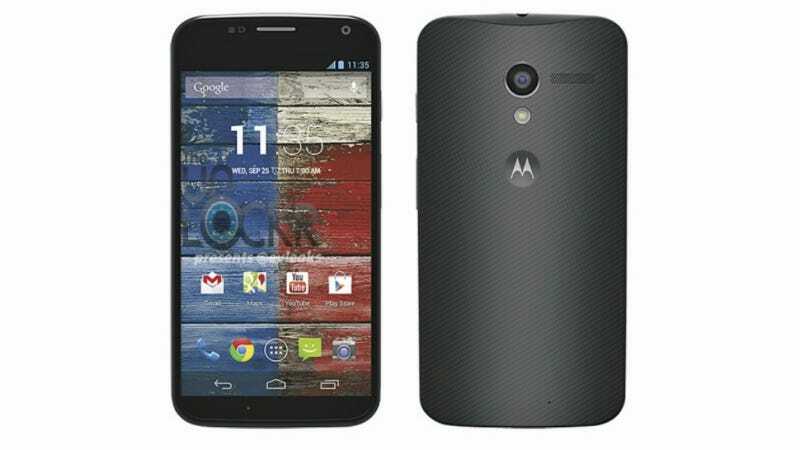 Between leaked promo videos and Eric Schmidt's flaunting, we already know a fair bit about Motorola's upcoming Moto X. Now a couple of press images have leaked out, and they seem to confirm that familiar, unannounced design. The press render here is in black, but other than that slight difference, it looks almost exactly like what Schmidt was wielding. Aside from the looks, we already have some pretty good hunches as to what's inside: a 4.5-inch display, dual-core 1.7GHz Snapdragon processor, 2GB of RAM and a 10-megapixel camera. All wrapped up in a kevlar back.